Really Saban!? Really? Check the Film Out While You Still CAN! 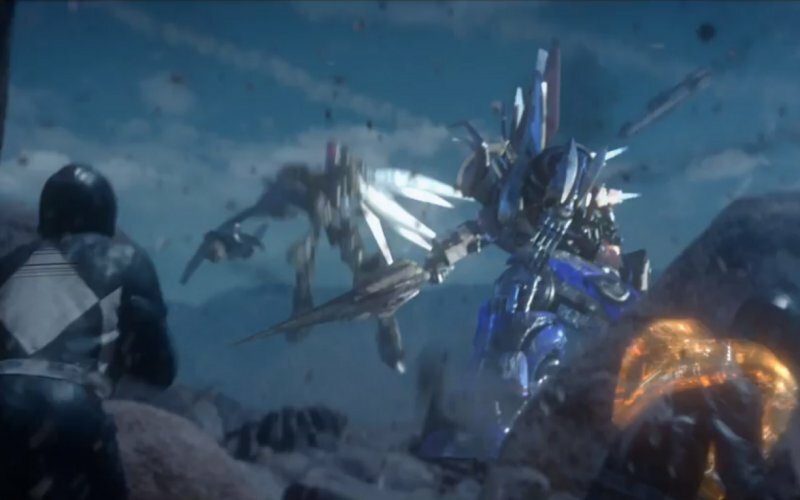 So a few days ago the Power Rangers fan film was shown to the world. Here is the post I made about it earlier (Mighty Morphin’ Power Rangers Bootleg Film By Joseph Kahn) It was welcome with mixed reviews, even the some of original actors of the show liked the take on it. But as for Saban……. Not so much… Saban, who owns the rights to the Rangers. Was not to pleased with the gritty take on their Rangers and had the video pulled from Vimeo and now successfully yanked it from Youtube….. Yep…. You read that right, sadly. 12 million views in only a few days, Youtube took down the fan film, which stars Katee Sackhoff & James Van Der Beek, due to a “copyright challenge” by owner Saban Brands. Amy Jo Johnson(Pink Ranger) & (Black Ranger) Walter Jones took to their Facebook pages to express enthusiasm for the gritty, mature-audiences take on the TV franchise. Shortly Jones said on his own page, praising the work put into the film. Only less willing to put it out there for the fans. I understand why some people would be a little unhappy with the film. But… To freak out like Saban did rather ridiculous. It’s a fan made film! Come on! But I did find it up still on Dailymotion and here is the video! Check it out while you still can! So the guys who made the movie Dredd made a “Fan Flim” if you will, on the Mighty Morphin’ Power Rangers. If you remember how dark and violent Dredd was…. To View Film Check It Out Here Really Saban!? Really? Check the Film Out While You Still CAN! Then you’ll have an idea on how this re-image of the Power Rangers will be :). It’s about 14 minute long and OH MY GOD!! I like the idea behind it and the darkness…. But having the Rangers using guns just seemed a little odd to me. But over all I rather enjoyed the flim. Check it out!